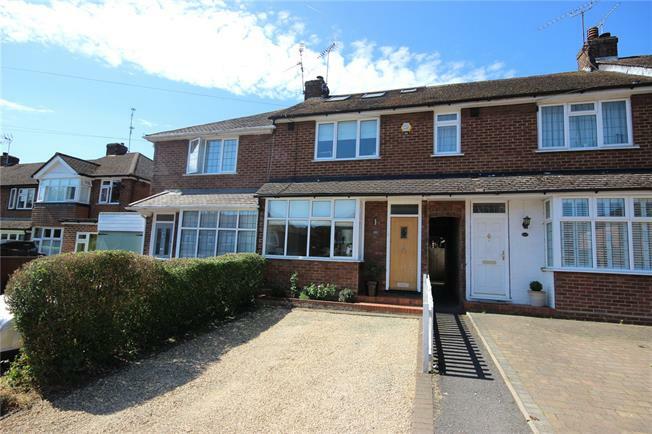 3 Bedroom Terraced House For Sale in Harpenden for Guide Price £595,000. We are delighted to offer fo sale this beautifully appointed three bedroom family house. This fine home has been generously proportioned and exceptionally well presented accommodation arranged over three floors. To the rear is a delightful and private garden and to the front is a shingled driveway. Weybourne Close is a pleasant cul-de-sac location within a short walk of Crabtree and High Beeches Schools and within a mile of the station and central Harpenden. The town itself offers a comprehensive range of restaurants, bars and cafes, a sports centre, swimming pool and benefits from a fast train service into London, the City and beyond.